Tell us about the furry members of your family? Luke and Lena are both shepherd mixed and three years old. They are named after my husband’s grandparents. How did your dogs pick you to be their fur-ever mom? We found Lena first in the city. She won our hearts with her beauty and smartness. She’s observant and pays attention to everything. We knew she would be a good fit for our family and property. Just two weeks later came Luke from the country. When we first saw him he was a little thing trying to keep up with the bigger dogs. We always say city girl, country boy about the two of them. They love anything that squeaks or makes noise. 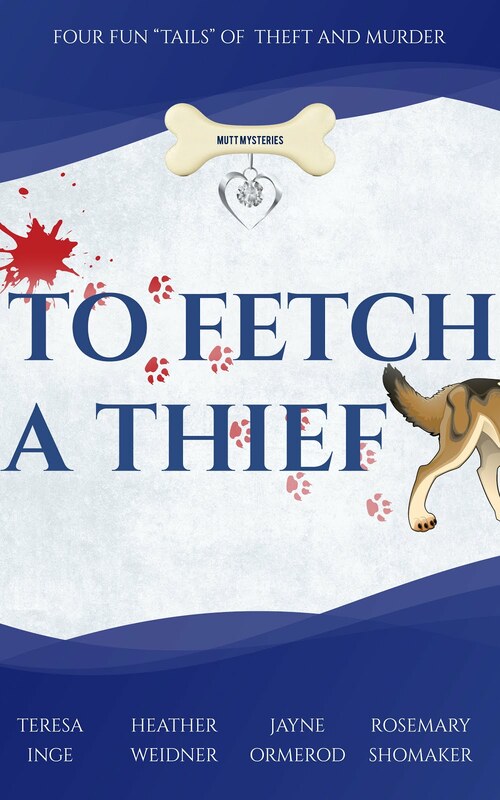 Is the dog in your story in To Fetch a Thief based on your dogs? Luke and Lena are mentioned but they do not play a big role in the story. 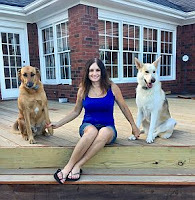 Where is your dog when you write? They are by my side usually resting. I wrote "Hounding the Pavement" in a few months. I had the title and knew I wanted to make it a dog walking mystery. Do any of your stories or future stories involve a canine companion? Yes, I’ve included dogs in other stories. In addition to writing and spending time with your dogs what other hobbies do you have? I love going to car shows with my husband. We travel to several shows and even show our classic hot roads at the shows. When we come home from they are so happy to see us. And of course when they get treats.